Churches are places of worship, and their dramatic architecture, wide open spaces, stained glass creations, and incredible acoustics also make them fantastic for hosting live streaming events of all kinds. Whether for sermons, important updates, keynote speeches, or even musical concerts, the best option for a growing church looking to host a successful live stream is investing in a premium paid service. Not only will a top quality paid service to provide you with all the information and backing you need to ensure the quality and clarity of your stream, but it will guide you through the process from start to finish, meaning you can do what you do best and reach out to the people that matter. Not only this, but amateur mistakes could end up costing you more to rectify than investing in a paid service – in short, sometimes doing it yourself is a false economy. 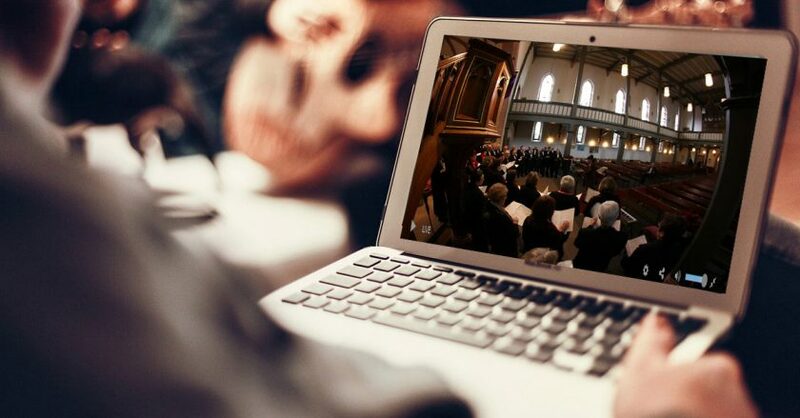 Make sure the church is equipped with an internet service that exports streaming files so that viewers don’t get impatient waiting for the content to load. Set up geo-restriction if you want to feed viewers in specific territories. Follow up with a VOD replay right after your event stream, so your followers don’t have to wait too long to see the video if they missed it live. Pick a pastor who is a digital native and can help you with your event’s marketing strategy rather than someone who has to figure out how new media work. Encourage your in-house audience to engage on social media so that the experience finds its way to Facebook, Twitter, and other platforms where it can attract attention and entice new followers. Also, leverage your social media platforms to promote the event beforehand – and after it has ended. Using hashtags could help you reach the right audience. And last but certainly not least, include your online audience in the live stream as much as possible during the event. Live streaming is a powerful thing indeed – and if done well, can reach a whole new audience while helping people connect with your message around the world. Follow these tips, invest in the right service and you’ll reap the rewards of your live events in no time.